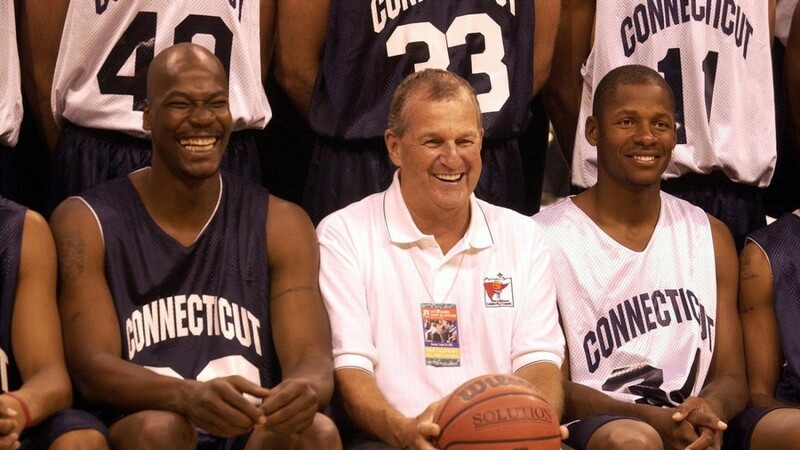 UConn basketball greats have segued their college and professional careers into coaching jobs, broadcasting gigs and now: the marijuana business. Cliff Robinson, who played for the Huskies from 1985-1989 and was part of the 1988 NITchampionship team, plans to get into the marijuana growing business in Portland, Ore.under the name “Uncle Spliffy,” a play on the Uncle Cliffy nickname that fans gave him. “People in Oregon know me as a basketball player [Robinson spent eight seasons of his 19-year career with the Trail Blazers] but I want to distill the stigma around cannabis, the misperception that athletes and cannabis are incompatible,” he told the Portland Business Journal. In 2006, while playing for the New Jersey Nets, Robinson was suspended five games during the NBA playoffs for marijuana use. He had previously been suspended in 2001 while with the Suns after an arrest for marijuana posession and driving under the influence. Robinson addressed the use of marijuana by NBA players in the interview with the Portland Business Journal. “When you talk about guys playing on a professional level, there’s a lot of physical and mental stress that comes with that, and to have something available to you that has health benefits, I don’t see the issue with it myself,” he said. Robinson’s No. 00 was added to the Huskies of Honor in 2007. Robinson, who grew up in Buffalo, was a member of the Huskies’ All Century Team and finished with 1,664 points at UConn, averaging 15.3 points, 6.1 rebounds and 1.1 blocks. After UConn he was drafted in the second round of the 1989 NBA draft. Robinson played for five NBA teams with career averages of 14.2 points and 4.6 rebounds. Toward the end of his career he was often among the oldest players in the league, retiring at age 40. The marijuana business isn’t the first post-basketball exploit that has made headlines for Robinson. He appeared on television’s “Survivor” in 2014 and that year was also part of a group of basketball players assembled by Dennis Rodman to play a “diplomacy game” in North Korea.